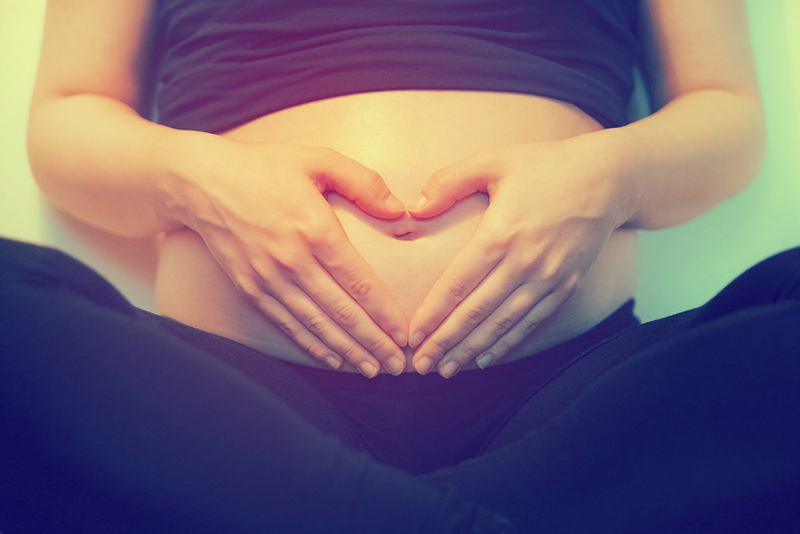 This month Bliss Baby Yoga Director and Founder Ana Davis discusses the role of yoga and meditation practices in supporting and enhancing fertility for women who are preparing or trying to conceive. She spoke with Bliss Baby Yoga Fertility and Conscious Conception specialist, Rosie Matheson, who has been working with women to support their fertility for six years and will soon be facilitating a Bliss Baby Yoga Fertility Yoga Teacher Training in Byron Bay.
. Stress can adversely affect the delicate balance of hormones necessary for optimal health and fertility. A woman who is trying to conceive should therefore try to minimise the levels of stress in her life as much as possible, in order to give her body the best chance. However, the irony is infertility causes more stress! According to a famous study by Dr Alice Domar from the Harvard Medical School, the anxiety and depression levels of a woman suffering infertility is on par with someone diagnosed with a terminal disease . This can set off a vicious cycle: the more stressed we become the more this may affect our ability to get pregnant, and then we become even more stressed! It’s clear then that yoga for fertility needs to focus first and foremost on managing and reducing a woman’s stress levels. The relaxation and stress management tools of yoga can provide a wonderful antidote to stress – particularly, the right kind of fertility-focused yoga. In addition to practising relaxation and meditation techniques to calm the mind and nervous system which will help bring a woman’s hormonal system into greater health and balance, yoga for fertility focuses on postures that promote the circulation of blood and energy in the lower abdominal area. One reason is because the stress hormone epinephrine can cause the constriction of the blood vessels in the uterus which may, according to Dr Rahul Sachdev, specialist in Reproductive Endocrinology and Infertility at the Robert Wood Johnson Medical School, impede a woman’s fertility. Yoga for fertility therefore includes postures that create space and softness in the lower belly such as Supta Baddha Konasana (Reclining Butterfly pose). Rosie has been working with women to support their fertility for the last six years and has developed her own unique approach to this beautiful feminine-focused yoga. She recalls the very first woman she worked with had been trying to conceive for almost two years. “When we started she was doing everything right. She had the perfect fertility diet full of helpful nutrition; she did regular gentle exercise; was tracking her ovulation; she had a supportive husband, and had cut back on work and stress,” says Rosie. “The thing that was missing was a connection to her womb. She was so worried each month that her womb would disappoint her yet again that she withheld hope, love or warmth from that part of her body.” This was when Rosie’s beautiful Womb Meditation was born! Her client became pregnant less than two months later. “I have seen this time and again and have been genuinely shocked over the years to see how much of an impact this connection has on a woman’s fertility,” enthuses Rosie. Join Rosie Matheson for a 1-Day Yoga for Fertility Teacher training at Byron Yoga Retreat Centre on 28th May 2016 to learn how yoga can be a valuable tool in supporting women in the journey to conceive. This 1-Day Fertility training forms a component of the full Bliss Baby Yoga 80 hour Specialty Women’s Yoga Teacher Training, 25th May – 3rd June, 2016, which covers how to adapt a yoga practice for all stages of the menstrual cycle, fertility and pre-conception, menopause, times of depletion, and more.